Rwanda’s Prime Minister Edouard Ngirente has presented a detailed plan for his government. During the 7-year tenure he seeks to construct 22 km of road network dedicated to big buses. Ngirente on Tuesday afternoon presented his government program in parliament. 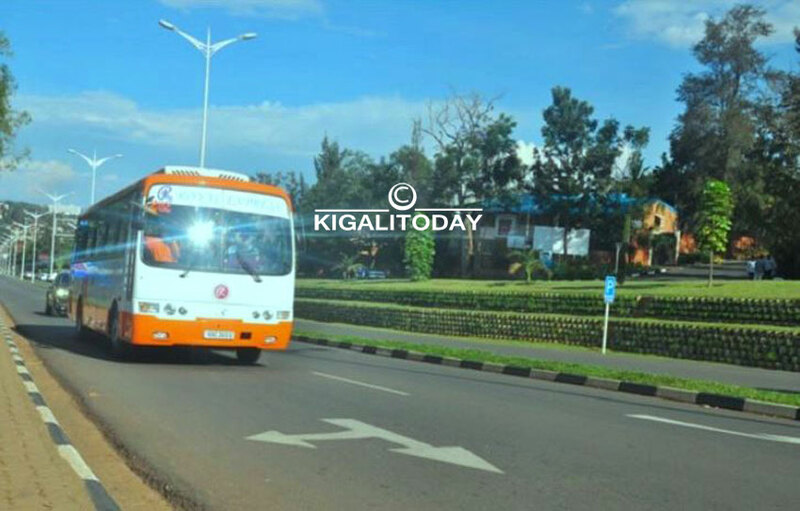 According to city of Kigali officials, the plan is to dedicate some lanes to buses, especially on main corridors where traffic is heavy at peek hours- an initiative that could start by the end of this year. “For example, in a road with 4 lanes, 2 lanes may be dedicated for buses, a plan which is intended to promote the Public Transport in the City of Kigali,”Jean d’Amour Rwunguko, Director of Infrastructure in City of Kigali has told KT Press. Rwunguko also said, that the city is working on a proposal in partnership with Rwanda Transport Development Authority(RTDA) and Rwanda Utilities Regulatory Authority(RURA). Rwunguko could not specify which roads are concerned. However, the city has been expanding key roads to de-congest them. The road connecting Kigali down town to Nyabugogo through the Round about was recently opened to public after an additional lane. The road Rwandex-Sonatubes-Giporoso is also under expansion. Meanwhile, there is a wider vision on Kigali buses’ lanes. Kigali city officials earlier told KT Press that they are planning construction of Bus Rapid Transit (BRT)- a ten year project that is expected to cost more than $2.5 billion (about Rwf1.8 trillion). Demarcation of the highway was concluded last year. “We are evaluating tender offers and by April we may have a company that will conduct the study,” Jean-Claude Rurangwa, in charge of public transport and safety management at City of Kigali told KT Press then. The BRT will consist of 160 km road network around Kigali, which will be plied exclusively by buses with capacity of more than 100 passengers. The network will have a width of 36 metres (including boundaries) and will start from Nyabugogo and link the city hub to different areas by five main arteries. Road network in Kigali is improving, but PM Ngirente said, the 7 year period holds much more. In other plans of roads in Kigali in the next seven years, a total of 350 km new road network will be built in Kigali and 6 secondary cities; Nyagatare, Muhanga, Rubavu, Rusizi, Musanze, Huye. Moreover, 800km tarmac roads will be built across the country, including the most awaited Huye, Kibeho Munini in southern province; Ngoma-Bugesera-Nyanza and Base-Kirambo-Butaro-Cyanika. A highway that connects Bugesera International Airport to Kigali is also planned. Feeder roads, said Ngirente, will also be taken into account. The government plans to build 3000 km feeder roads to improve transport of agricultural harvest and communication.